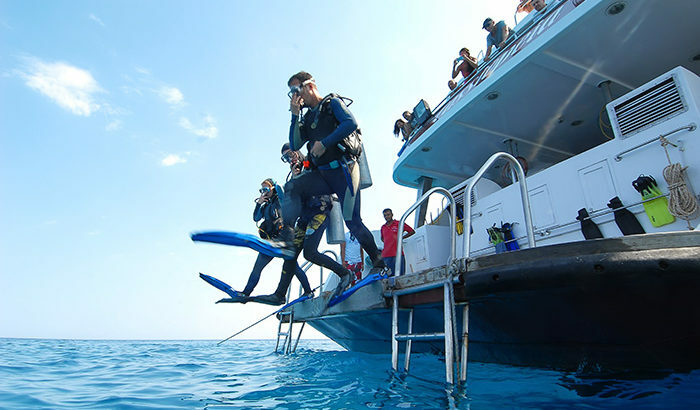 As freshly “graduated” scuba divers, we finally receive our certification that lets us purchase dive packages at any scuba diving centre around the world. 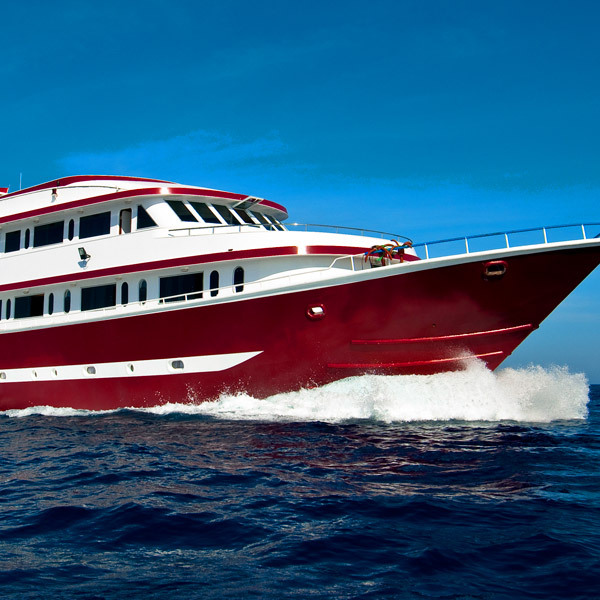 We excitedly begin planning and we get the first slap in the face when our scuba diving instructors are not standing next to us anymore and for the first time we must solve some more complicated tasks all by ourselves. Here is a little help to make each of your dives better than the last one. During the first 20 times we enter the water we continuously find ourselves facing new situations. We need about 30-50 dives to feel comfortable in the water. This many dives are already sufficient to manage even the hairiest of situations, to build on the experiences we had gained up until then. But what happens during the first 30-50 dives? 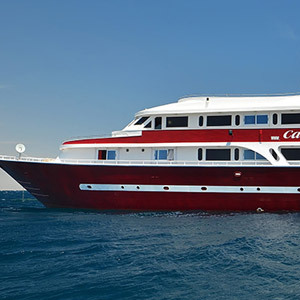 We have created a list for freshly minted divers to help them get through the beginning stages. 1. Always have a snorkel pipe on you! A usual scenario after entering the water: The diver is bouncing among the waves, the wind is blowing water into his face but he would not dare put in the regulator’s mouthpiece as not to use the air from the tank (or lack thereof at the end of the dive). With a snorkel pipe this stressful situation can be easily avoided on the surface. It is best to switch your mouthpiece to the snorkel pipe as soon as you hit the water surface. 2. 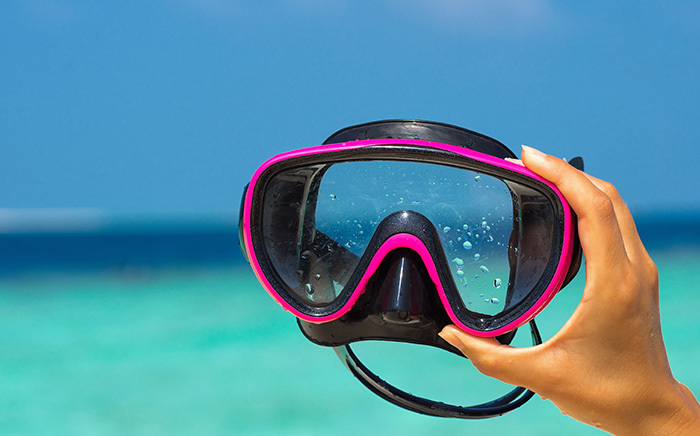 Make sure your scuba mask fits perfectly! During the scuba diving course not everybody have their own masks but this should be one of the first parts of your gear to purchase! There is nothing more uncomfortable when water is seeping into your mask or it keeps getting fogged up. You must take the time at the scuba shop to try on all kinds of masks to be able to find the style that fits your face the best. If it is possible, do not be among the first ones to put on your neoprene suit; at first pull it up only to your waist, not all the way. Pull up your suit completely only right before you enter the water; it is pretty stifling reaching a state of near-unconsciousness in 40-degree (Celsius) weather while sitting around for half an hour fully suited. 4. Purchase local dive guide books! In most places at the local scuba dive shops you can find reef guides and scuba dive guide books that help you navigate the local dive sites. 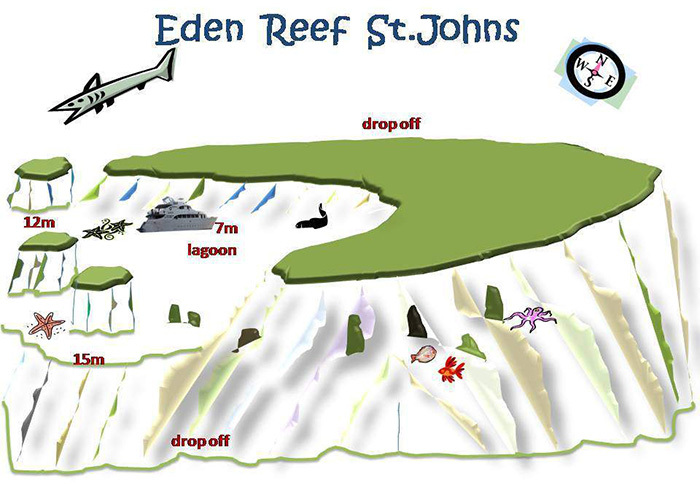 You can use this information to expand what you hear during the briefings on the boat before each dive and to familiarise yourself with the local sites. 5. Drink plenty of fluids! Let’s start off by saying that water hydrates you! Coffee, tea, carbonated drinks and alcoholic beverages do not! If anything… We had written an article about this topic already here and here. Sure, it sounds good. 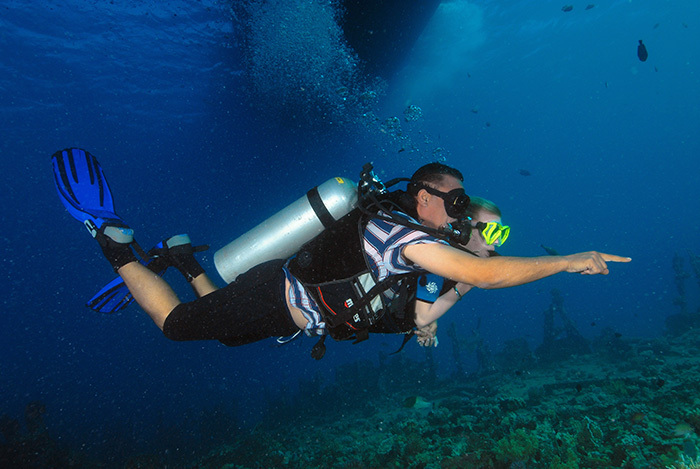 “Ok… wait a sec… is it good now?…” Even scuba divers with hundreds of dives can be completely off the mark when it comes to perfect buoyancy. There are many telltale signs: helping out with hands (hands fluttering around), constantly using fins (trying to compensate with no luck), non-stop adjusting the air in the BCD. The thing is, like it or not, this takes practice. You must spend time on learning this skill, preferably in more shallow waters (it may take one or two complete dives). Try to find a flat and sandy spot at about 10 metres, lie on your belly on the sand and practise harmonising your lungs and your BCD until you feel you are perfectly buoyant. The good news is once you get it, you will never forget it! 7. Get to know other scuba divers! Introverts are at a disadvantage here. 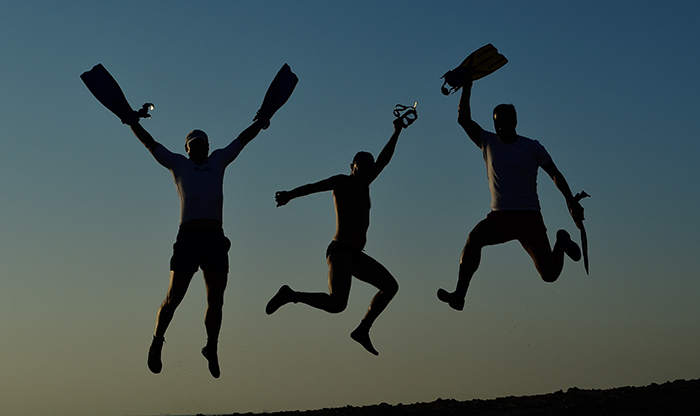 It is a good idea to attend scuba diving events and become members in diving clubs to be able to find people with similar interests to yours. Scuba diving is typically the kind of recreational sport where listening to stories can actually help you learn from others’ mistakes and preferably not from your own. 8. Keep a log book! As we already think applications and smart phones, download a log book program of your choosing (log books do not have to be paper-based anymore) and record your scuba dives there. If anybody asks, you can easily check where you saw what and what the distinctive characteristics of specific sites were. 9. Be a perfect buddy! There are numerous buddy portals where you can find dive mates. Or if you are assigned a buddy on a trip, and you may be the biggest goof underwater, stay close to your buddy, watch him because you never know when you may need an alternative air source or other kind of assistance. It is always a toss-up who your buddy will be (but make the most of it). 10. Know your own limitations! 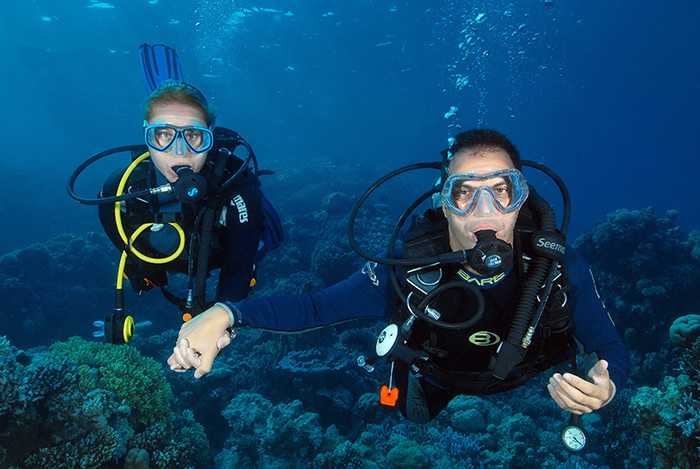 There are scuba divers for example who show visible signs of Nitrogen narcosis already at 15-20 metres. For such divers it is important to be aware of their limitations and not dive any deeper than it is safe. Everybody will understand if in such situations you bring this to the attention of the dive guides. If you have any other useful tips, ideas or recommendations that would be helpful to new divers, share them with us in the “Comments” after this article.